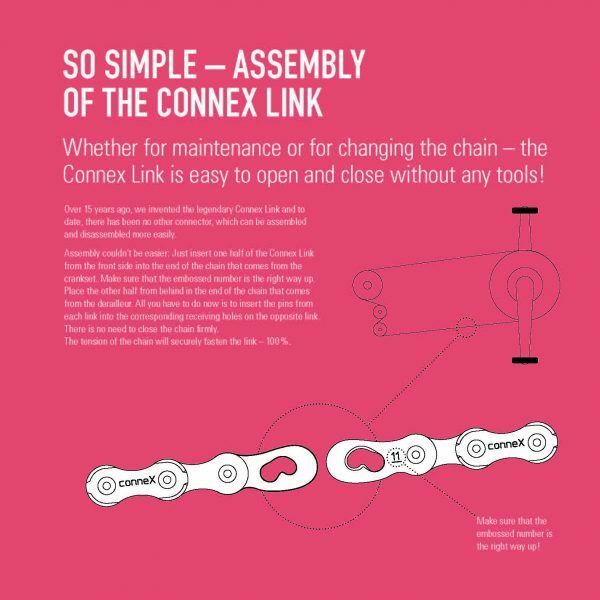 In a world of fakes and copies the true benchmark in eBike chains is the Made in Germany Wippermann Connex 11SE, the only chain in the world tough enough to withstand the extremely high torque output of the new generation 250W & 500W eBike drive units. 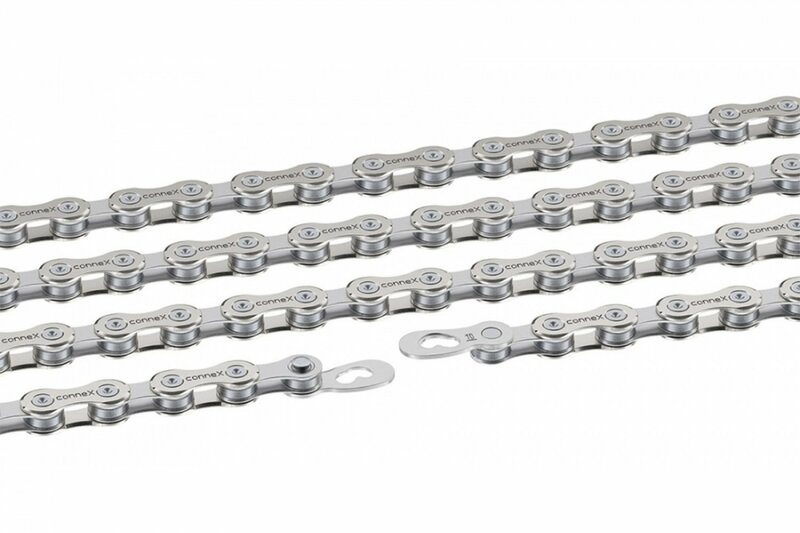 These new motors generate extremely high-load peaks which put enormous stress on drive chains. 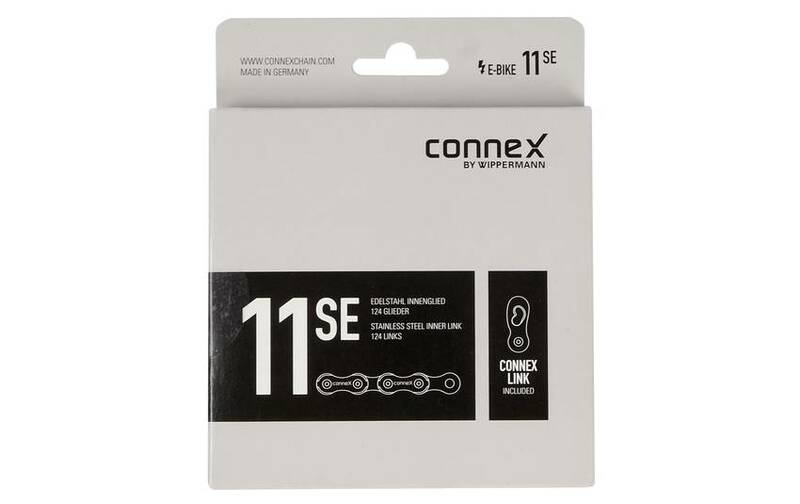 Only the Connex 11SE has the strength, optimized geometry and innovative engineering to be able to withstand this sort of pressure day in and day out. 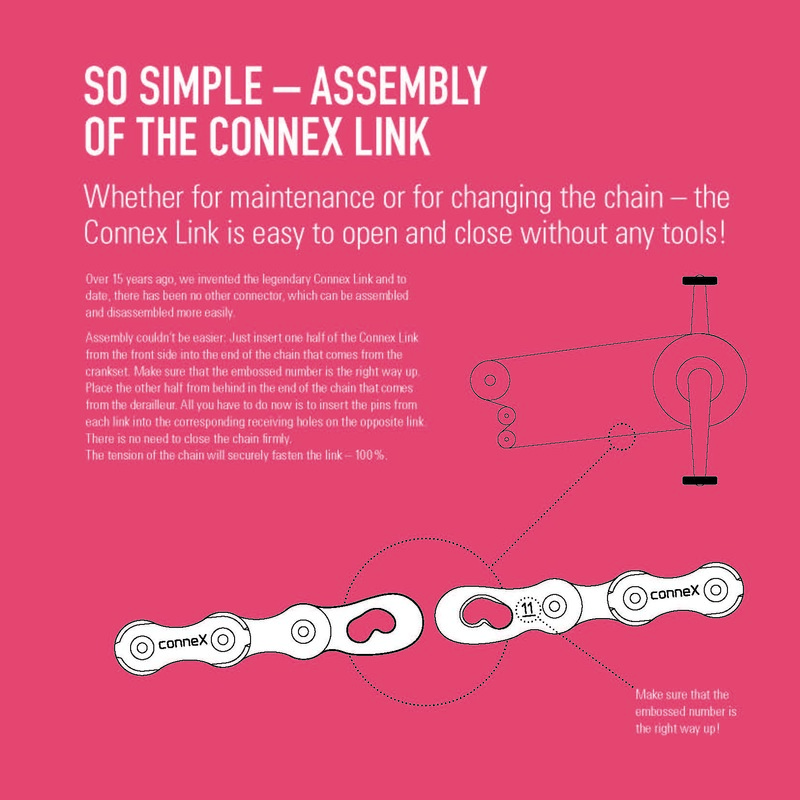 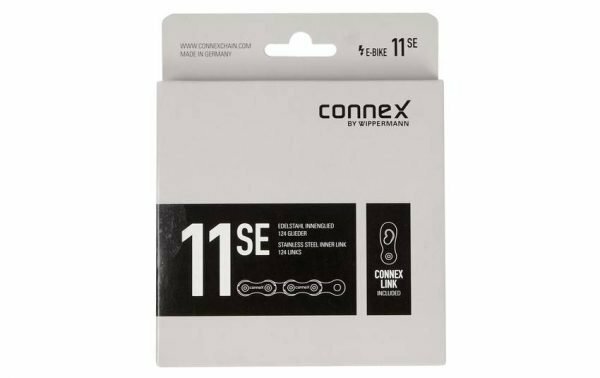 If you want a chain to outlast them all then do yourself a favour and choose the best the Connex 11SE. Extremely fine 1 Micron polish on chain rollers for maximum wear resistance. 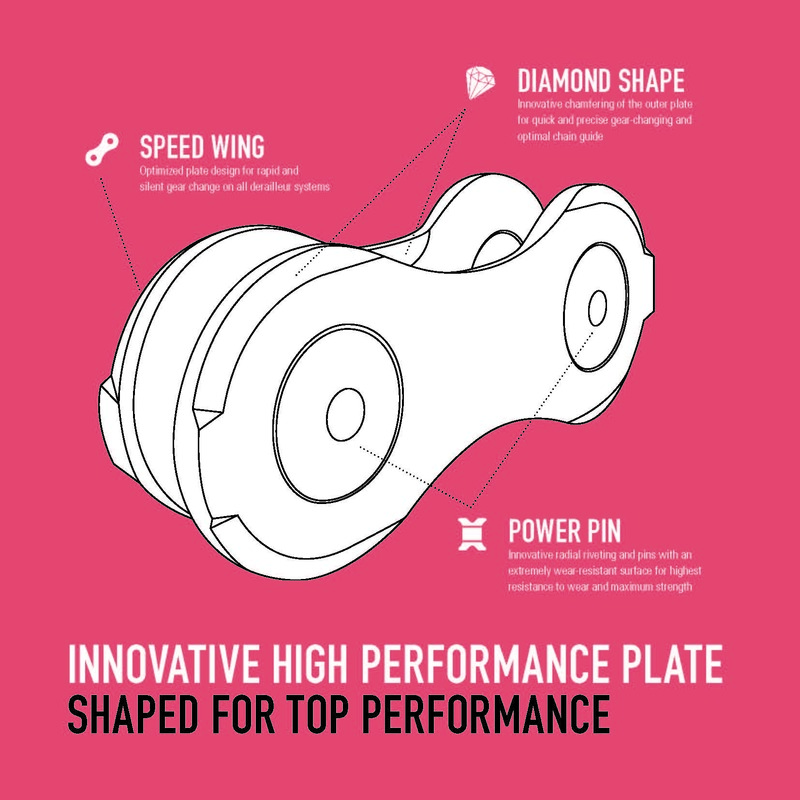 Outer plate chamfered for optimal shifting on eBike applications. 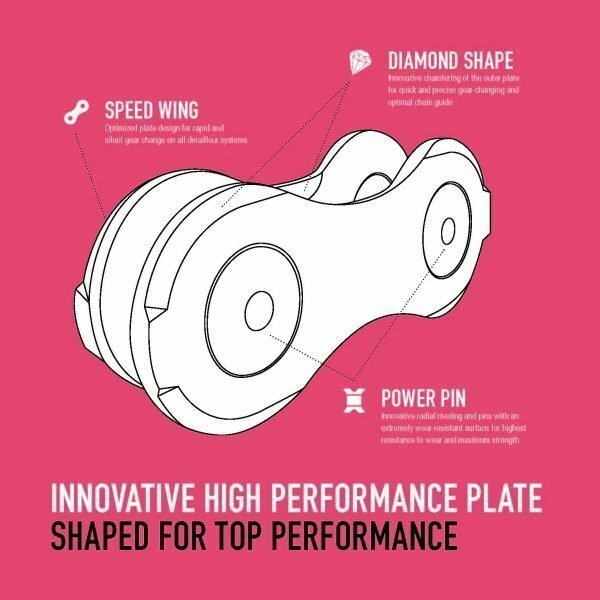 Radial riveted pins for maximum strength and wear resistance. 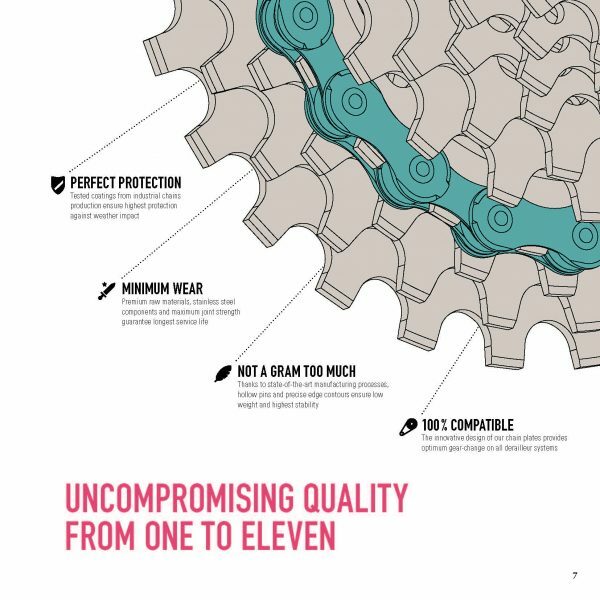 Precision manufacture for ultimate strength and wear resistance. 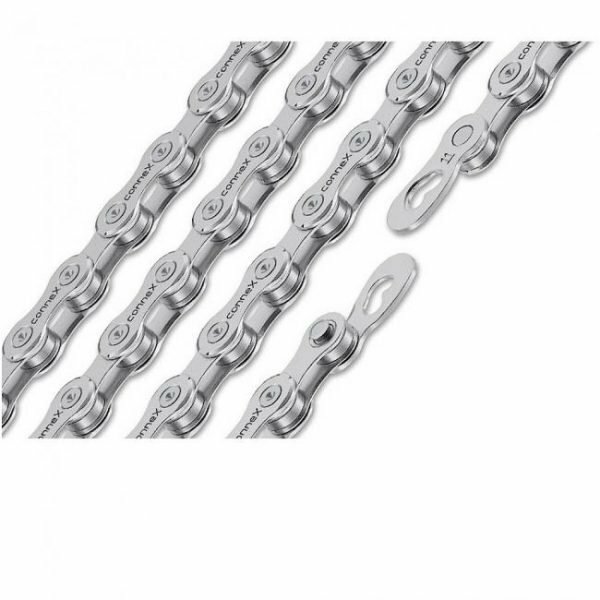 Material: High Strength Steel & Stainless Steel. 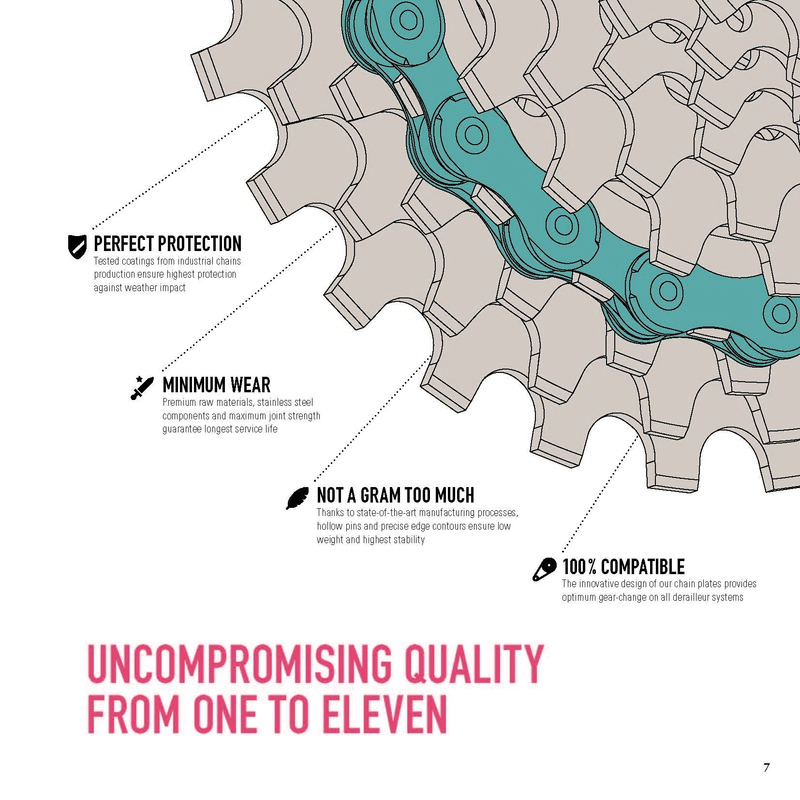 Pin Ejection Pressure: >2000 N.
11-Speed Mountain Bikes & E-Bikes.